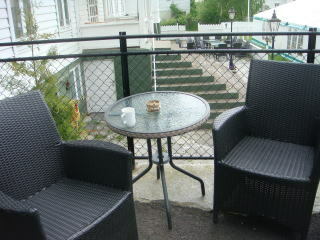 beverage are served. 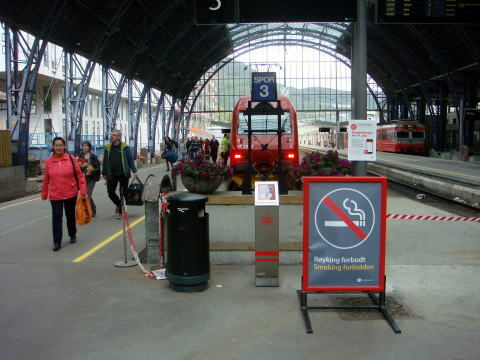 Smoking is not permitted on board aircraft or on other means of public transport. 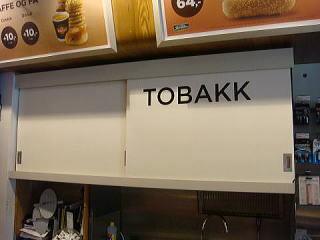 Is this a special consideration for smokers who wait a shuttle bus to Oslo Intrnational Airport? 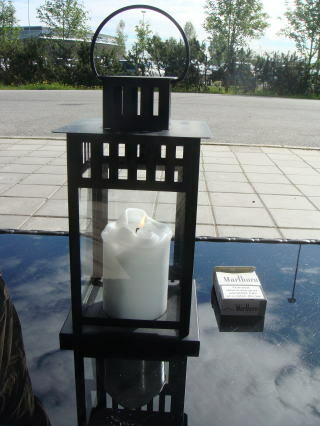 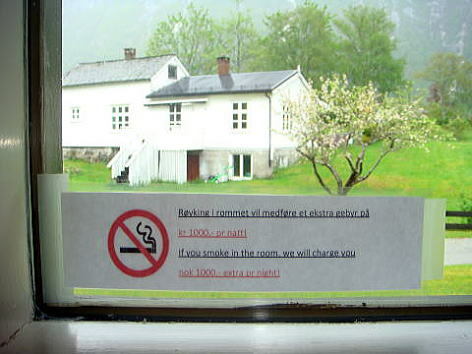 (R) An outside table for smokers is provided at a all non-smoking hotel at Sandane, Norway. 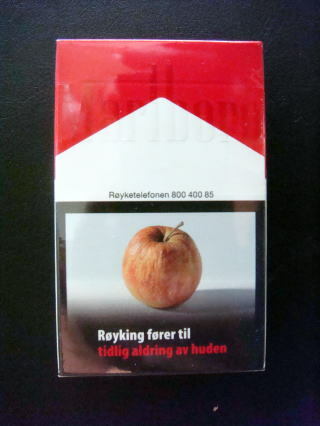 (L) Smoking extremely damages the health of you and people around you. 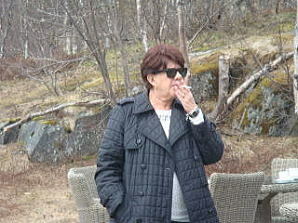 (R) Smoking causes your face to be much older. 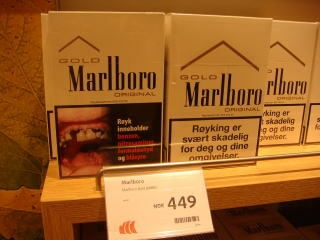 It is difficult to see the brand name of Malboro at glance. 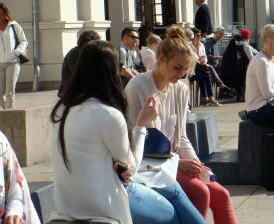 Paramount red maxi costs NKO 120. 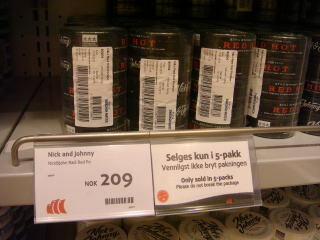 This picture was taken at a supermarket in Sandane, Norway. 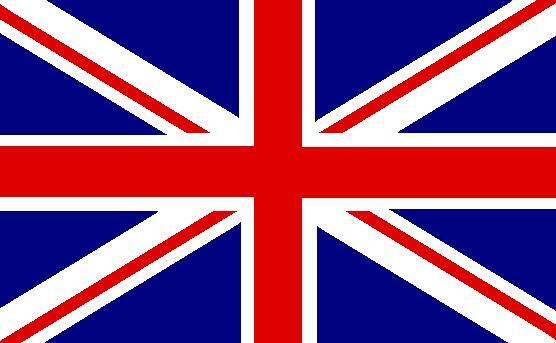 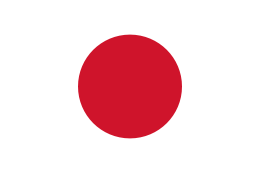 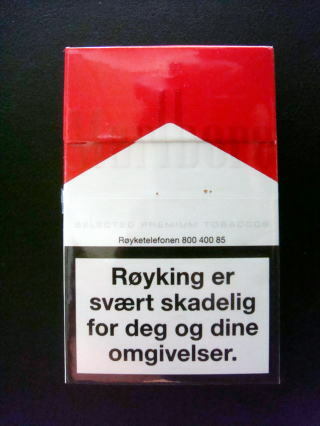 (R) The legal age to buy tobacco is 18 years in Norway; however, it is said that the 10% of 15-year olds smoke. 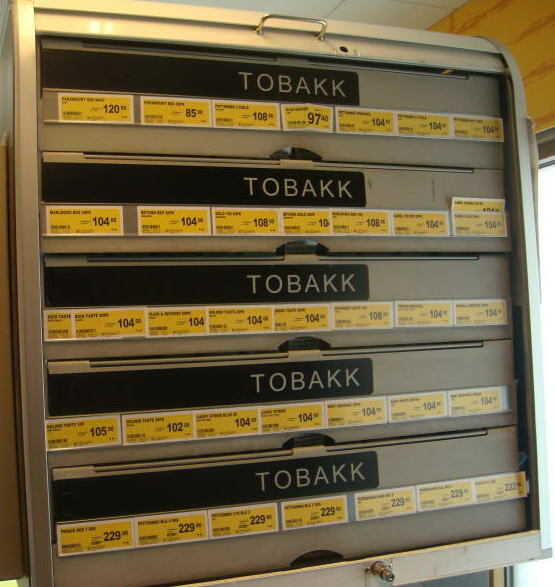 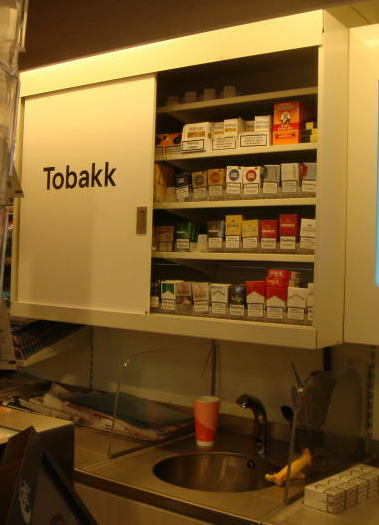 The law of Norway enforces to place all tobacco products should be stored in a state, that is not visible from the outside. 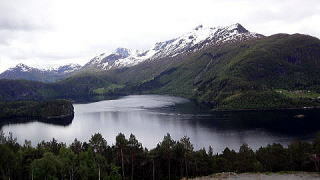 (L) This picture was taken at a town north of Bergen (R) at the Narvesen in the city of Bergen. 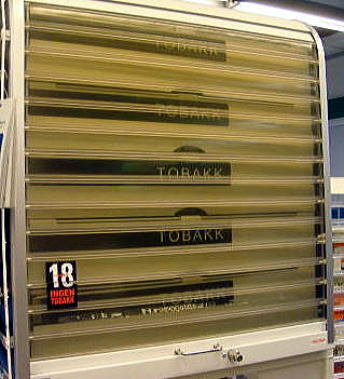 All cigarettes are housed in a shelf with a sliding door. 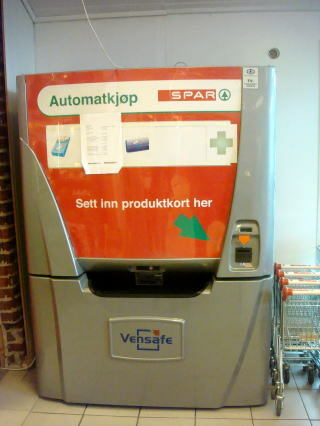 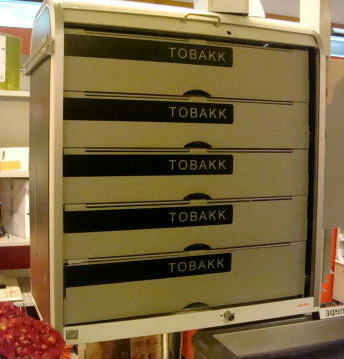 An automatic vending machine for tobacco sale, that is found at a supermarket of Jolstringen, a small town in Norway. 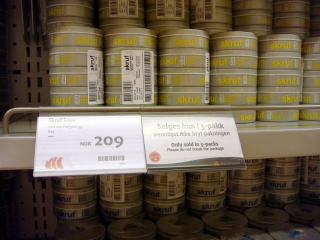 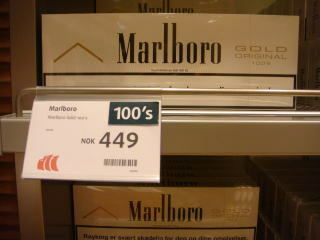 The 20 pack tobacco costs NOK 85.90 to 102.90. 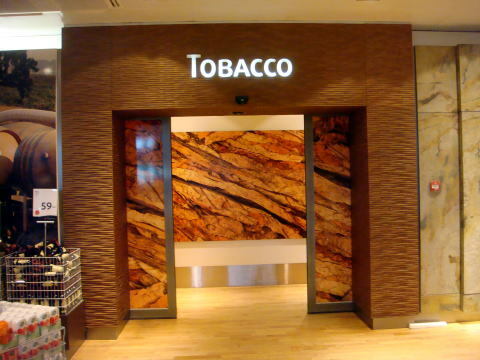 (R) A special separate section of the World of Cigars: It has a humidity control by issuing the stream. 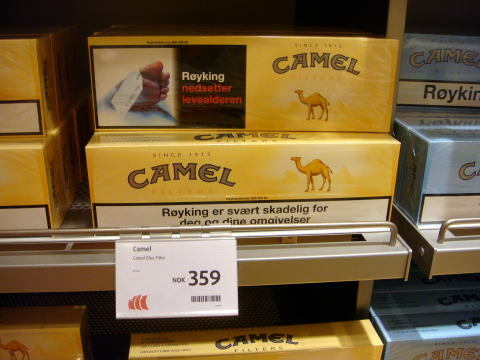 The tax-free prices are NOK 449 for 100's Malboro, and NOK 359 for 100's Camel Blue Filter. 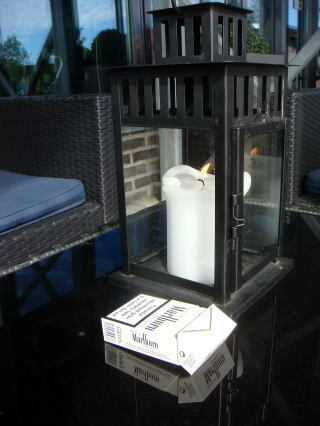 When we turn over a cigarette box, it shows a graphic health warning. 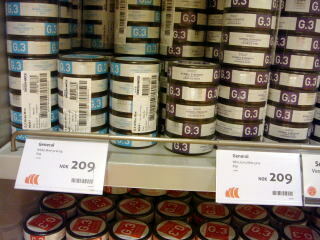 It is rather rare to see the large display of snus in the airport. 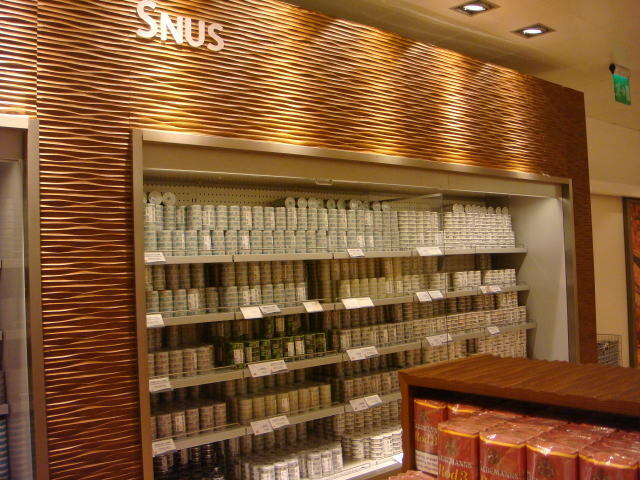 Snus is a moist powder tobacco product originating from a variant of dry snuff in early 18th-century Sweden. 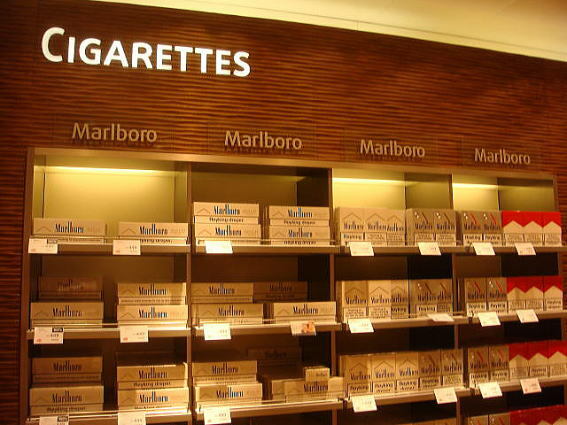 Smokeless tobacco is a major cause of oral cancer, pancreatic cancer, and esophageal cancer. 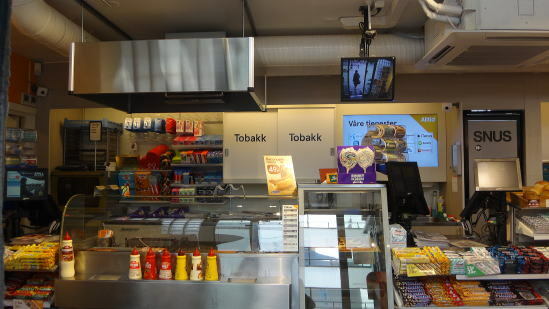 The price of tobacco in Norway is the highest in Europe 2016. 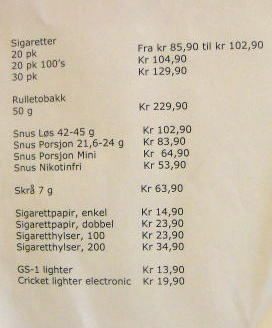 The smoking violation costs a hotel guest NOK 2000 (243.4 U.S. dollars). 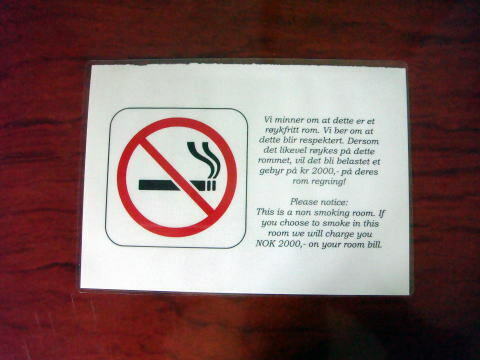 If you smoke in the room, the hotel will charge a user NOK 1,000 (121.7 U.S. dollars). 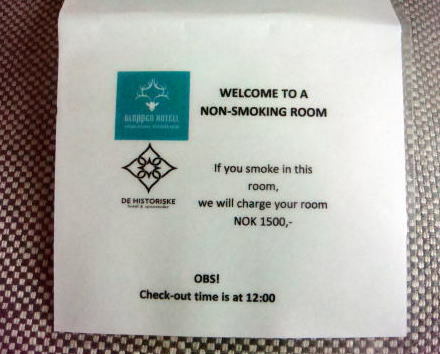 If you smoke in the room, the hotel will charge a user NOK 1,500 (182.5 U.S. dollars). 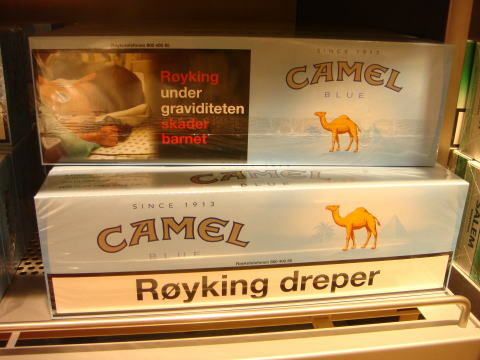 The price of tobacco in Norway is the highest in Europe. 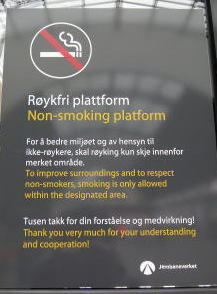 Information was added in July 2016.